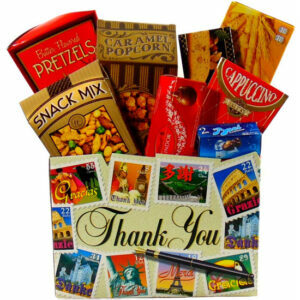 Love note gourmet food gift basket filled with snacks and sweets gourmet food to send your loved ones on Valentines Day to enjoy. 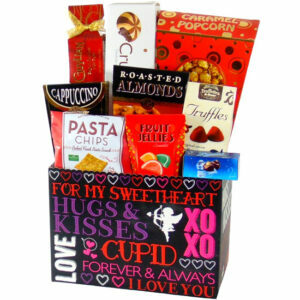 Gourmet gift box love note gift basket filled with snacks and sweets gourmet food to send your loved ones on Valentines Day to enjoy. 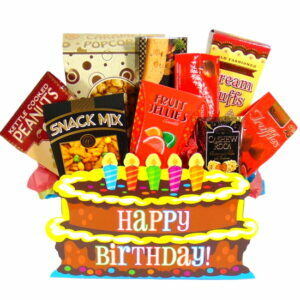 Send your note with gift Love You. Miss You. Enjoy and many more notes. 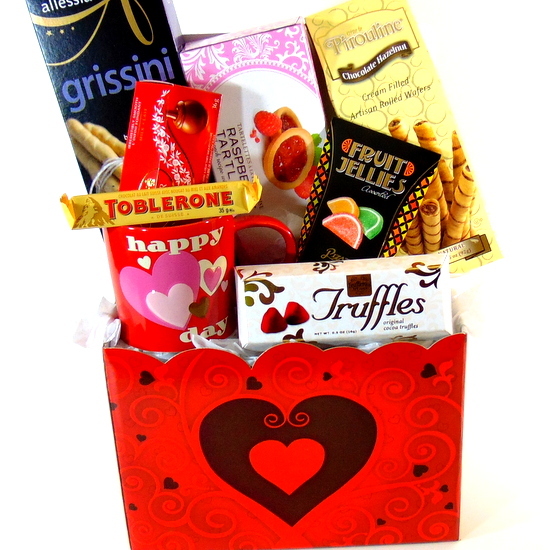 Gourmet gift box contains: Red hearts open gift box. Happy Valentines Day coffee mug. French chocolate truffles. Fruit jelly candies. Toblerone chocolates. Lindt Lindor truffles. Bread sticks. Raspberry fruit tarts cookies. Pirouline wafer cookies.